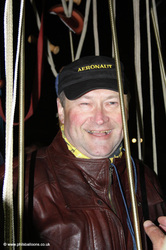 The traditional farewell dinner at the Gordon Bennett Gas Balloon Race is planned for Saturday evening in Bristol, UK. Despite being a royal affair this year as the Duke of Edinburgh will be in attendance, a solemn cloud will no doubt hang over the entire gathering. 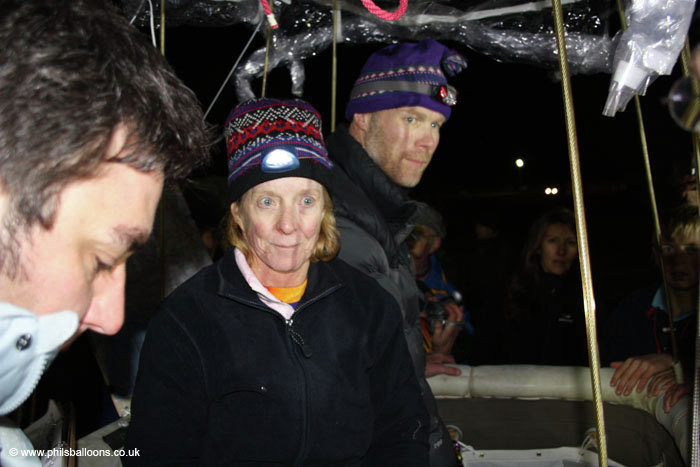 The search for USA-2 continues in the Adriatic Sea for the third straight day. 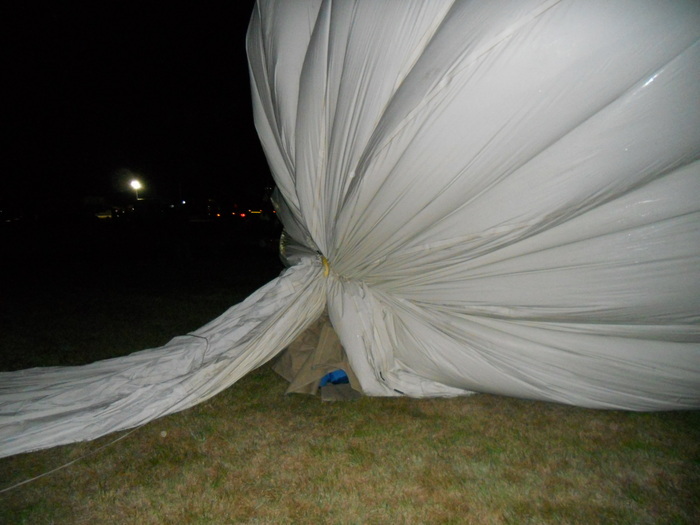 New information from the balloon's transponder has been released by event officials showing that the balloon had a descent rate of about 50mph prior to it disappearing from the radar. 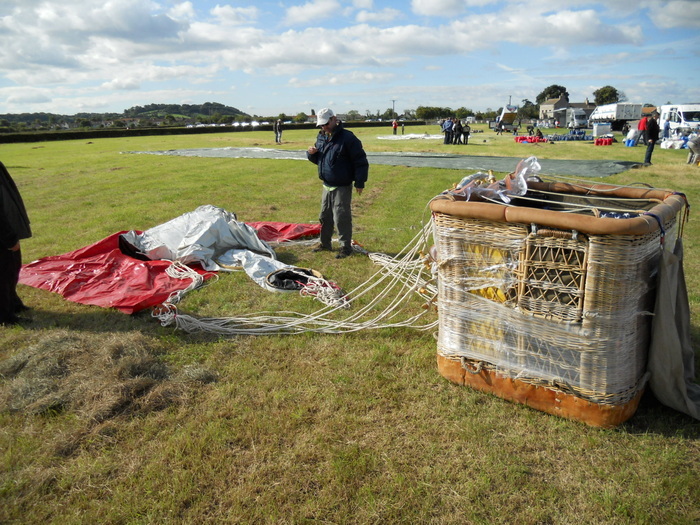 "It is the opinion of the Gordon Bennett 2010 Flight Control Team that the balloon appears to have suffered a sudden and unexpected failure. The cause of this tragedy is still being examined." Director Don Cameron said in a statement. 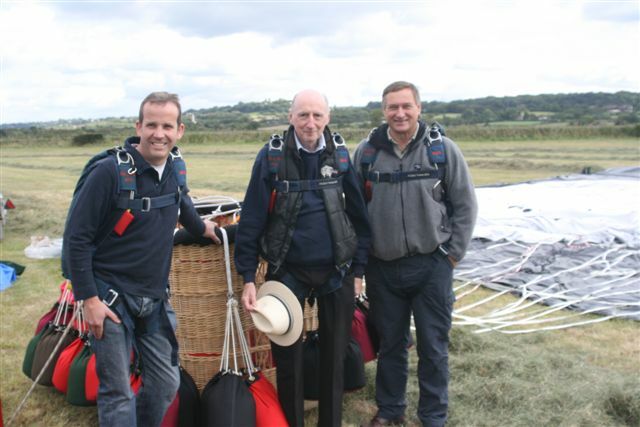 While the rate of descent was extreme there are documented cases of pilots and skydivers surviving falls far in excess of the one recorded in this case. 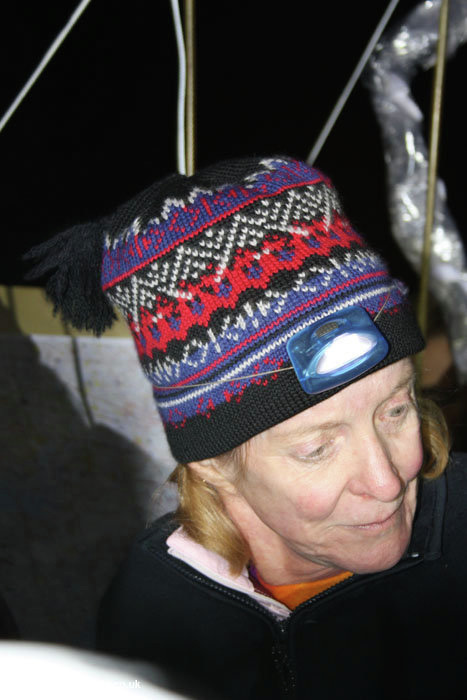 In a separate statement, Nancy Abruzzo asks for prayers and for all to hang onto hope as the search for any piece of the balloon continues. 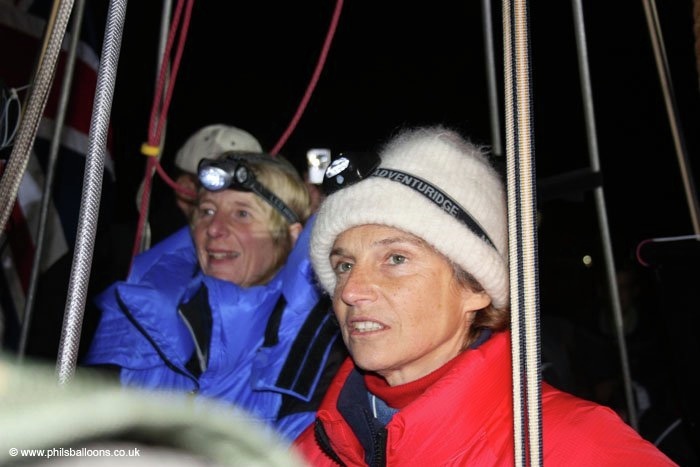 "We recognize that we are looking for a needle in a haystack but we cannot rest until we find something, anything"
More information can be found on the events official website. Update 10/1/10 11:36 AM (EST) - The search resumed this morning for Richard Abruzzo and Carol Rymer Davis. United States and Croatian forces joined the search effort Friday. Two US Navy aircraft are now expanding the search area looking for any signs of the missing balloonists. The search will continue as race officials and family are holding onto hope that the two pilots will be found alive. 9/29/10 - Gordon Bennett Race officials and Italian air traffic control have lost contact with USA-2 piloted by Richard Abruzzo and Carol Rymer Davis. Italian Maritime Rescuers are searching the area by air and sea. Cargo vessels who traffic the area almost continuously have also been notified to assist in the search. As of now there has been no emergency signal from the balloon's ELT. GBR-3 has landed safely in Serbia, although the deflation system on the new balloon did not work. 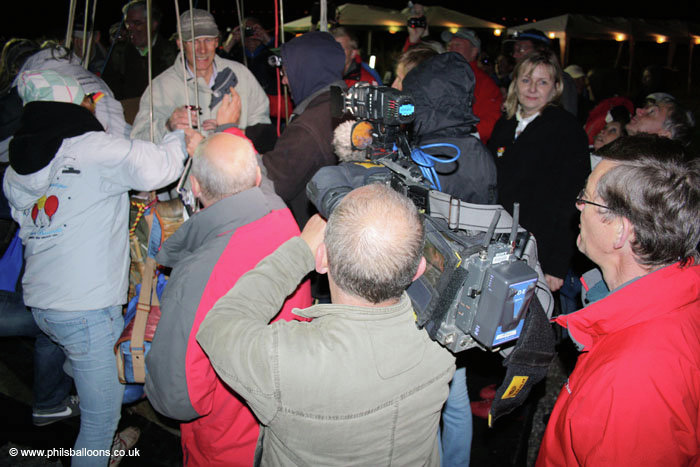 At last report, the balloon is still standing moored to a tree. 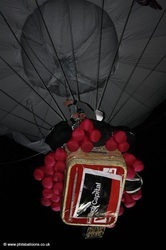 GER-1 has landed in Moldova and reporting a successful flight. The Swiss team of Kurt Frieden and Pascal Witpraechtiger have finally landed Tuesday on the west coast of the Black Sea in eastern Romania. The incredible flight has taken them over 2400km from Bristol, setting a huge bar for the remaining competitors to try and defeat. To beat SWI-2 the remaining four teams still airborne must fly to the coast of the Black sea, but be south of the Swiss' landing site to achieve a greater distance from Bristol. However, the current forecast trajectories show the balloons tracking to the north. Add to the unfavorable trajectories the potential of unstable weather in the next 12 hours for the area the balloons are flying will make it an incredible challenge to knock the Swiss off the top step of the podium. FRA-2 landed Tuesday morning on the west coast of Italy, arriving at the 5nm buffer of Italian soil just 30min before official sunrise. Their maneuvering off the coast of Sardegna may have used up a lot of ballast forcing an early morning landing. 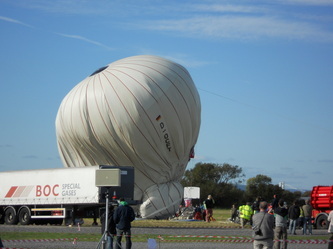 GER-2 appears to be on track for a landing near Debrecen, Hungary where pilot Markus Pieper will compete next week in the World Hot Air Championships. GER-3 is reporting on their blog that if the weather is stable throughout today, they will have enough ballast to stay airborne for another night and land sometime Wednesday in Romania. 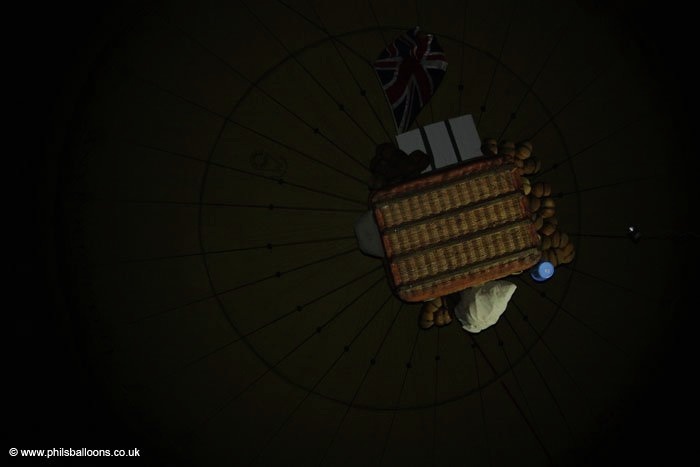 GBR-3 is reporting on their blog that they had to climb over some high mountains in Italy which probably used up a lot of their ballast. They have already flown into the Adriatic Sea so they must have enough to at least continue across to the Balkan countries. On the Swiss Team's blog, which they are updating from the air, they commented on how warm the welcome was as they flew in the former Yugoslavia. 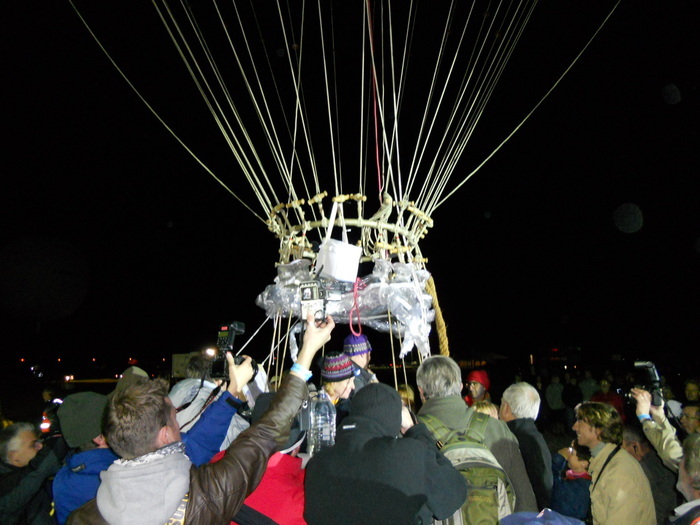 The controllers had been following the race via the website and were excited when the balloons finally reached their airspace. 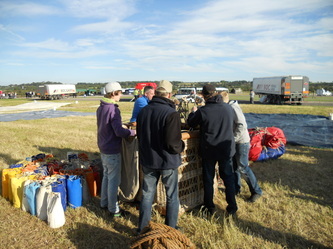 The event officials seem to have done a good job in notifying and educating ATC of the balloons and their projected flight paths. 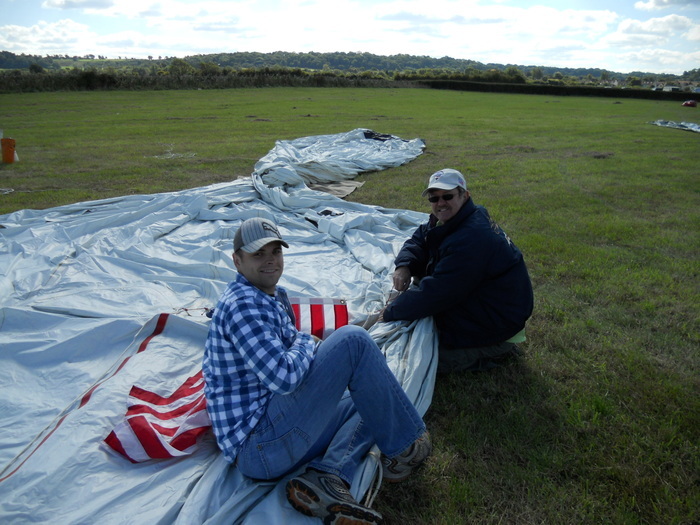 It is impossible, however, to keep local officials and residents informed where the balloons might be landing. Pilots are met with some confused and stunned faces as they emerge from a field after a long gas flight. Teams carry on board letters written in every possible language to help explain who they are and what they are doing there. 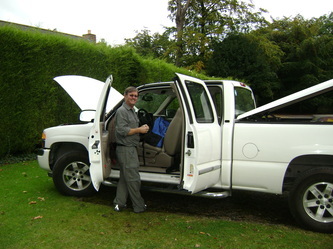 Keep in mind teams could spend many hours with the landowners as the chase crew races across Europe to meet them. The Swiss are in common territory for the Gordon Bennett. In 1997 the three top teams landed on the beach in Romania less than 2,000ft from one another, making it the tightest finish in GB history. The race was ultimately won by the Leys brothers of France. Teams should be able to use all their remaining ballast with little reserves as there is an abundance of landing sites in this area. 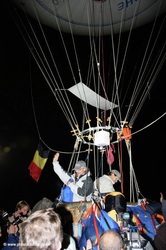 The remaining teams have not flown extremly high flight profiles so far in the flight. As long as they get around and over Italy without too much maneuvering they should be able to stay aloft another night. 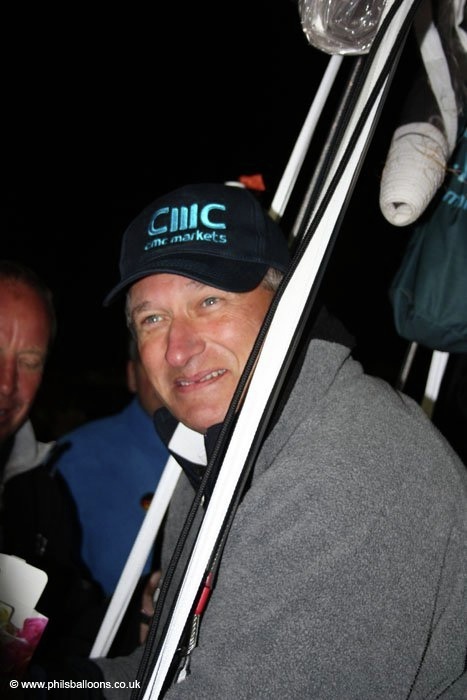 Winning a duration race like the Gordon Bennett is all about conserving your ballast. This can be a challenge when trying to find the fastest winds and avoiding dangerous weather. 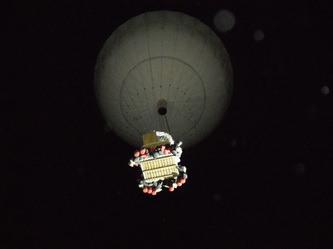 Gas balloons will naturally gain altitude during the day and lose altitude at night, and it is most beneficial to use this natural cycle to help conserve ballast. 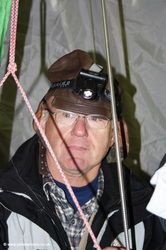 "So gas ballooning effectiveness (safety and distance) and efficiency (conservation of ballast and gas) is a combination of all these things," says meteorologist Randy Lefevre of Applied Meteorology Services. This race has been dominated initially by high surface pressure and relatively good weather. A surface low pressure system that passed through the UK prior to the start is now centered over Germany and extends all the way to Italy, which is starting to make things challenging. "For the most part, the balloons have been influenced by the high pressure." Lefevre continues. "Once they get “into” the low pressure system they should turn toward the east." "But danger is relative." Lefevre says. "If I'm in a balloon at night almost any weather could be dangerous"
As this was written, about 0400z Monday morning, balloons have started to turn toward the east indicating they have begun to enter the low pressure system. Two balloons, FRA2 and SWI2, have left the mainland and are over the sea flying high and fast. The rest of the field will soon have to make their decision to continue to Italy or land on the coast. 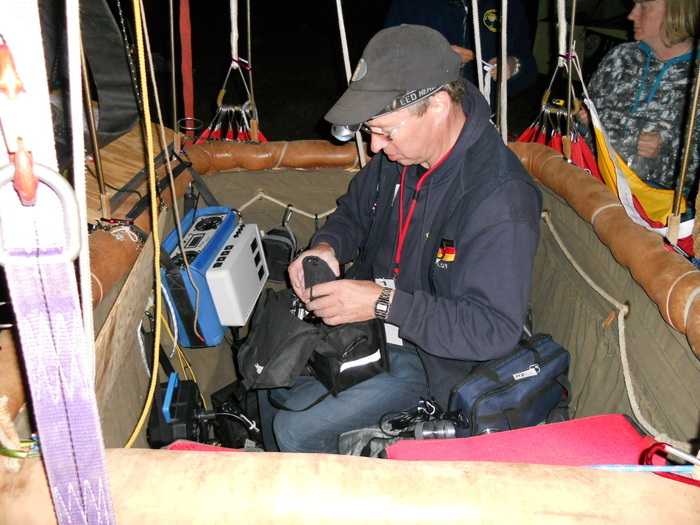 "All of the teams will be checking with their meteorologists to make sure the weather is conducive to crossing that much water" says World Record Gas Balloonist Troy Bradley, "Having a meteorologist you feel comfortable with plays an important a role." 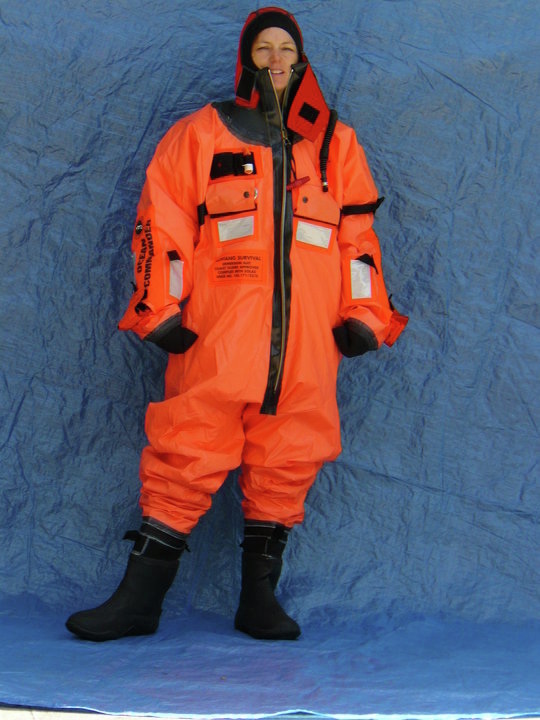 "The pilots make the decision to go over the water and meteorology is just one input." Lefevre explains. "Ballast is another. What is on the other side? How is their equipment holding up? How are they holding up physically?" 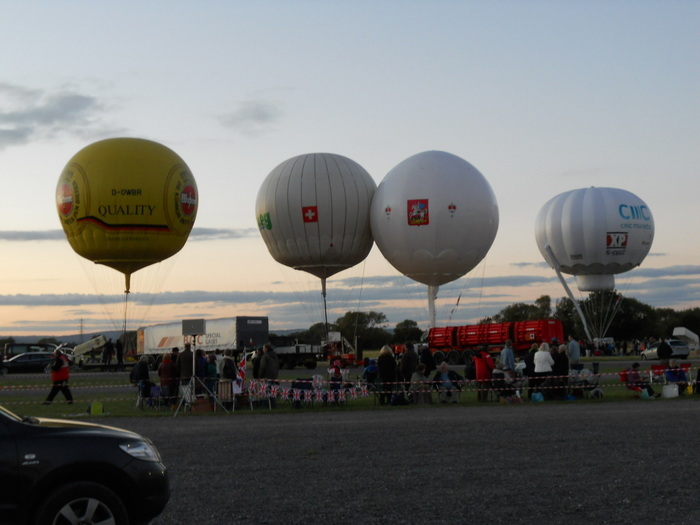 Balloons have more or less all followed the same direction of travel up to this point. The difference in strategy seems to be between those that have stayed lower and slower and those that have chosen a slightly higher and faster route. The slower balloons are more centered around Bordeaux, France, while the rest of the balloons are approaching or have already entered the Pyrenees. "The teams lagging a bit in France may be waiting for the west-to-east wind and/or they wanted to avoid dealing with the Pyrenees at night." Lefevre describes of the strategy. "Leading early in the Gordon Bennett seldom means a podium spot." Bradley explains. "Many times patience and a slower but better track pays dividends at the end, rather than the high fast track where you burn a lot of ballast early." They may also be using this strategy to time their arrival in Italy. Models for this flight show a crossing of the Adriatic Sea to be well within the range of these balloons. However, teams could have to use ballast to either slow or accelerate their approach to Italy which will decrease the overall range. If a team could time the arrival with little wasted ballast and are able to traverse the country during daylight, they could possibly continue flying beyond Italy. "Given the actual launch time of day and the expending of ballast, teams may decide on a more conservative plan and not cross the Sea." Lefevre explains. "That said, this group includes some real competitors so they can work miracles." SWI-2 and GBR-3 are updating their websites from the air. Check them out for an awesome perspective of the race. After less than 24 hours in the air, balloons have crossed the English channel and are paralleling the west coast of France as the sun sets again. Three balloons got out to a big lead by flying high and fast, however they have found themselves approaching the Pyrenees mountain range as night falls. 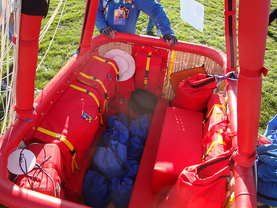 One of these three is the Japanese team who have elected to land prior to the mountains. 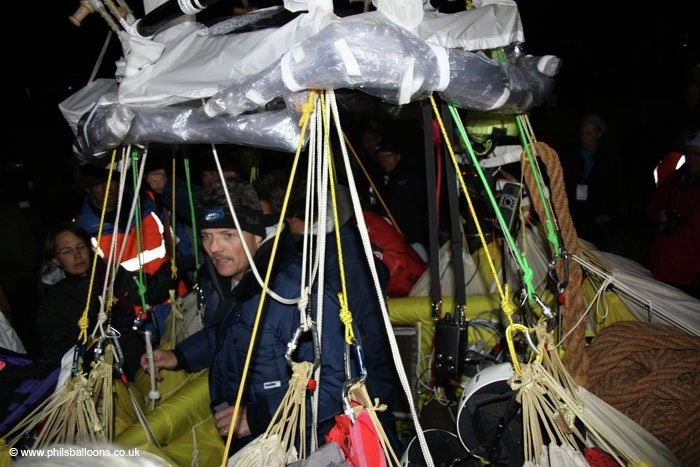 They reported a safe landing at 1715z saying that they used too much ballast since launch to attempt a night crossing of the mountains. FRA-2 is the closest to the mountain range and must be witness to an incredible sight as the sun sets and a full moon rises. The winds are expected to start to turn toward the east and Italy sometime overnight Sunday into Monday. Teams will inch closer to the Mediterranean Sea and will have a decision to make Monday as to whether or not to continue on. 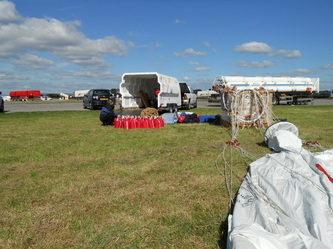 Once out to sea, teams will begin to time their arrival in Italian airspace, which includes the island of Sardegna, during daylight hours. All balloons have made a successful launch from Bristol and the 2010 Gordon Bennett race has begun. First reports from the air is that winds are brisk......25-30kph at just 1000ft. Our on field correspondent is reporting that all seemingly got off the ground with no major issues. The Japanese team thought they had a leak at the last minute causing a delay in their launch, but were able fix it and eventually take off. American Richard Abruzzo was apparently too focused on the wind forecasts and overlooked the temperatures as he did not pack enough clothes. 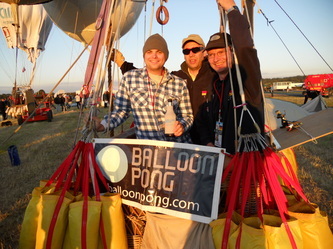 Luckily, Nick Donner was ready and willing to donate a few BalloonPong t-shirts to help him stay warm. All balloons were forced to overfly the airspace in Bristol at about 4000ft so balloons will spend the first night at that altitude or higher, and take advantage of the fast winds. 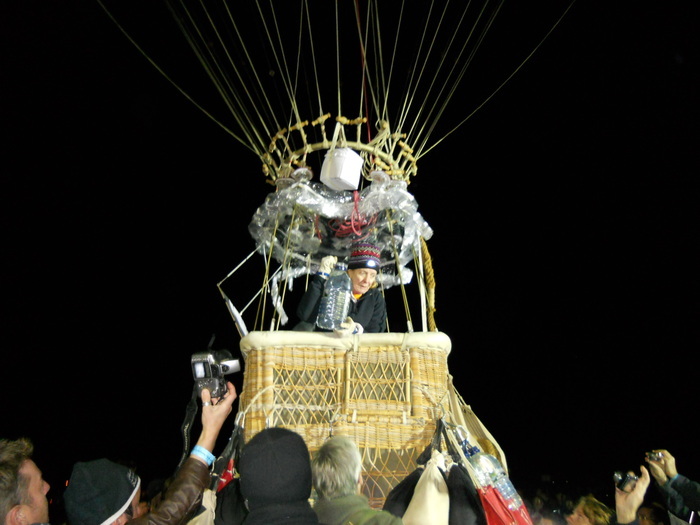 Current trajectory forecasts have the balloons flying near the Pyrenees Mountain range on the border of France and Spain. Teams will spend the next day attempting to navigate around those mountains to avoid using extra ballast to climb over them. 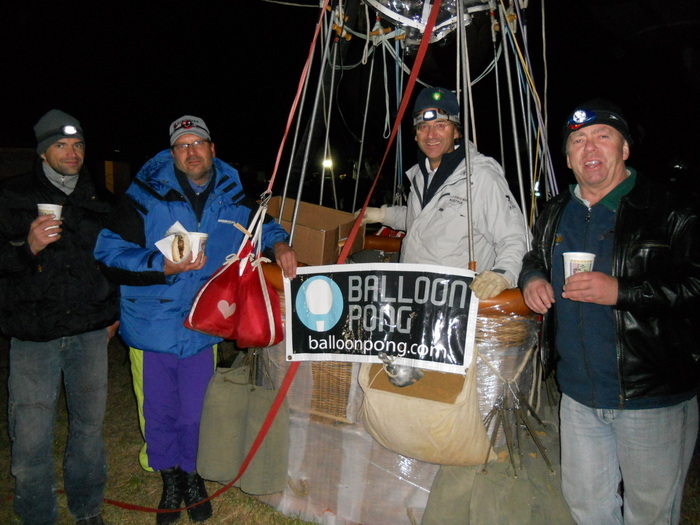 Should a balloon have to overfly the peaks, it could cost as much as a half a day's ballast if they cross at night....which could end the hopes of reaching italy. The current forecast into the second and third day of the flight seem to allow teams the ability to control their approach into Italy to make landfall during daylight hours. 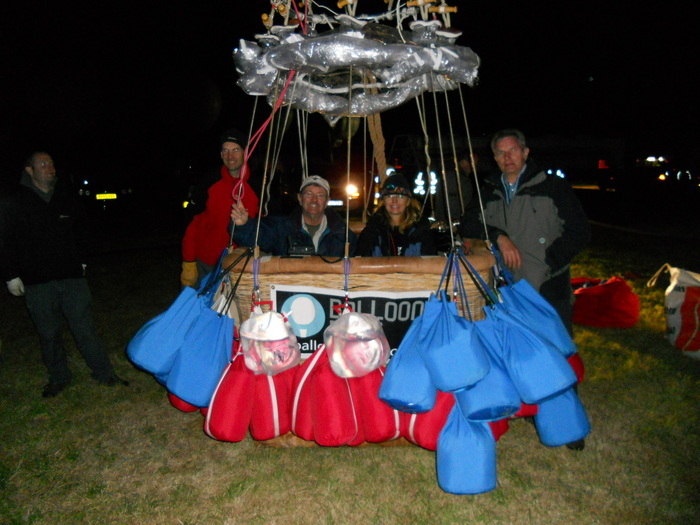 Balloons will be able to descend over the water into slower winds should they need to wait for the sun to come up. While continuing the flight across the Adriatic Sea to the Balkans seems within the flight range, at the time of launch nobody admitted that to be part of their strategy. The risk of old land-mine fields and potentially unfriendly locals will cause the termination of most of the flights in Italy. We should have pictures and some video soon. You can follow the live tracking here. 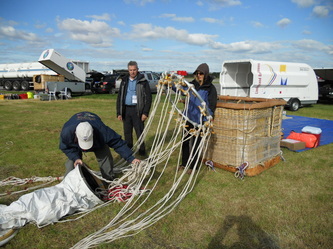 BalloonPong Reporter Nick Donner is on the launch field in Bristol, UK and is reporting that conditions are windy. Despite the wind two balloons are inflated and the remainder of the field is set to inflate around 6pm (local). We'll be back keeping you as updated as we can, but for a free live web cam check out this link. 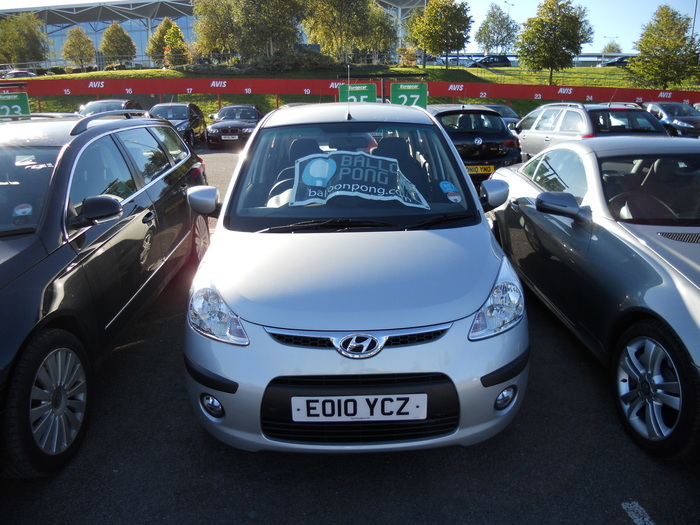 All appears on track for a launch today from Bristol, UK for the 2010 Gordon Bennett. Pilots will be prepping the balloons for inflation between the briefings. The meteorologists are busy studying the models and deciding what kind of distances are possible. The rumors on the field are that teams have a few strategy options to choose from. 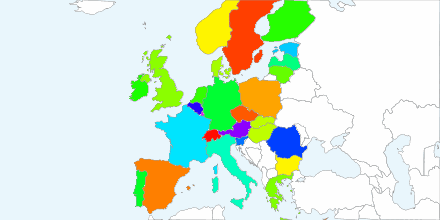 It looks like some will fly to France, some will go to Spain, and some may try for Italy. 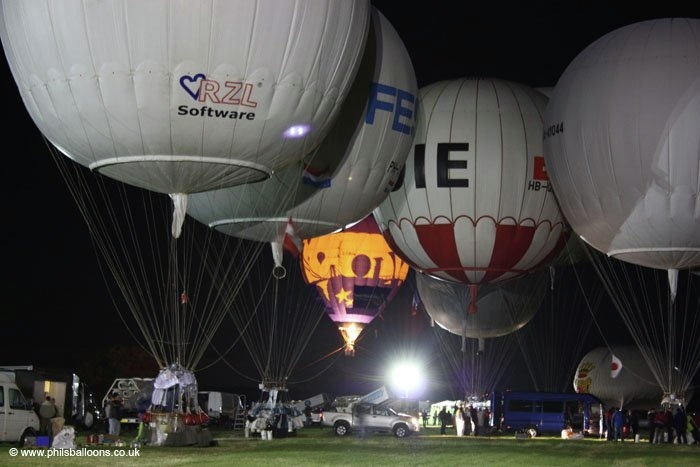 If pilots can get to Italy the flight may be complicated further as the government is not allowing VFR flight at night for the balloons. "One would have to time-tune the flight so that he crosses Italy only during daylight." competitor Geral Struzlinger explains. 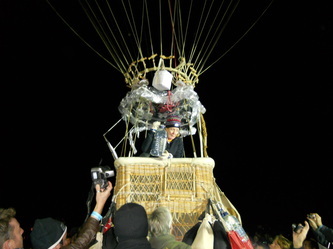 "The hot air competitor in me compares that to a kind of a CRAT (calculated rate of approach task) on a bigger scale." 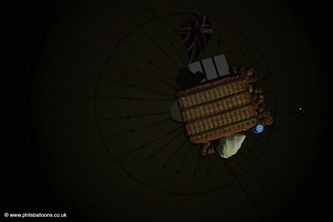 Keep an eye on the GB site for tracking once they launch. They have also set up live streaming video here. We'll post pictures and videos of the launch as soon as we have them. More preparations today as teams begin to fill sandbags for the Saturday launch. All teams have successfully been through the registration process. The Master Briefing will be this afternoon followed by a welcome ceremony in the evening. The launch order will follow the list below. They will launch one balloon from each country and then start again at the top until all balloons have launched. Trajectories still seem to have a lot of water to overfly in them. Currently, it looks like balloons will head south from the UK, parallel the west coast of France over the Atlantic until they reach landfall in Spain. It looks to be a little cool in England with highs in the low 50s Fahrenheit and lows in the high 30s Fahrenheit. 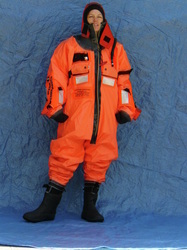 Pilots have packed several layers to keep warm during the very cool nights. It's impossible to prepare for all the scenarios one might face during a long distance gas race. Each flight will be different from the previous. 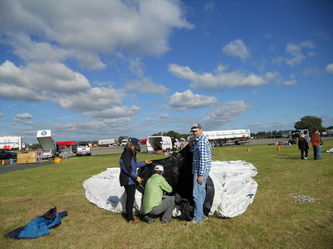 So teams focus on attaining a comfort level in the balloon that will allow them to face any challenge that may present itself during the race. Teams try to develop routines in the way they prepare for an event. Typically, at least one of the pilots in the balloon is an experienced gas pilot and they usually have a system of organizing and utilizing equipment. Keeping to a routine will help ensure nothing is being forgotten or left undone. 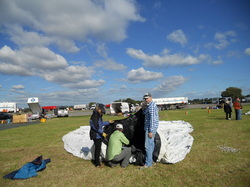 A gas balloon inflation takes a team of people several hours to fill sandbags, stow equipment, rig the basket, and inspect, seal and inflate the envelope. Newer balloons fill faster, but it can still be a tedious process. 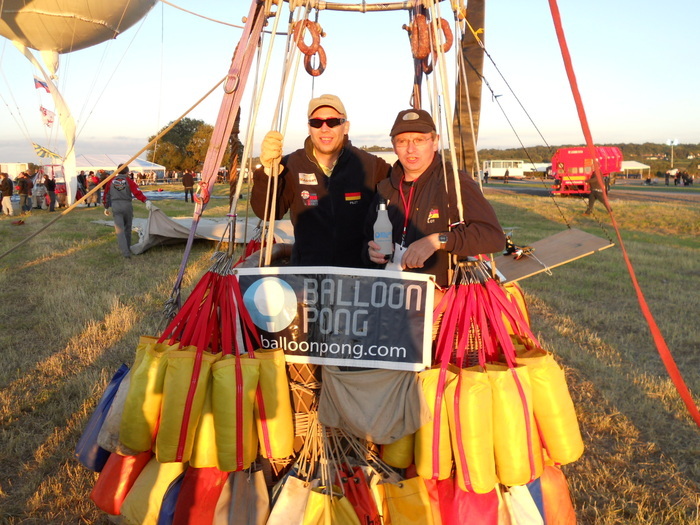 The Austrian team of Gerald Struzlinger and Nikolaus Binder did a 5 hour practice flight last weekend in preparation for this years event. It wasn't as long of a flight as they would have liked, but it served as a good dress rehearsal for the race this Saturday. 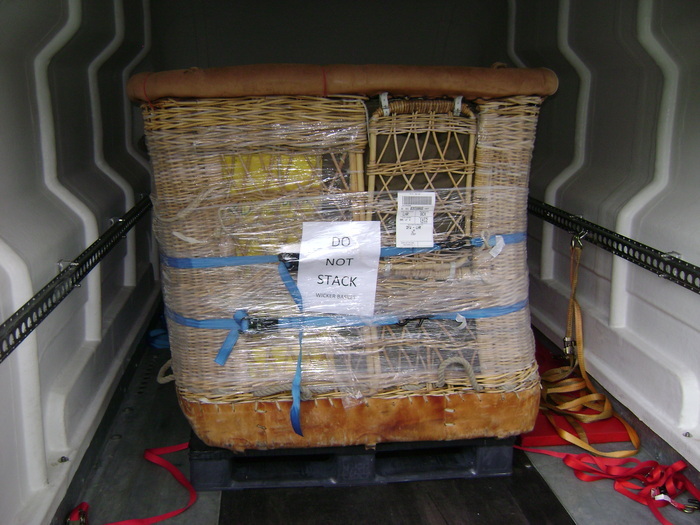 "This flight allowed us to fine tune and to brush up our systems, to do more checks with our equipment and all that," Struzlinger explains . 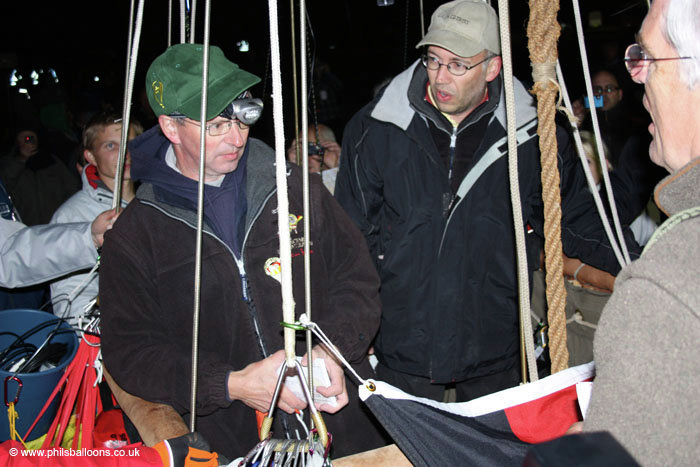 The British team of David Hempleman-Adams and Simon Carey will be flying a brand new balloon manufactured by Cameron Balloons in the UK. 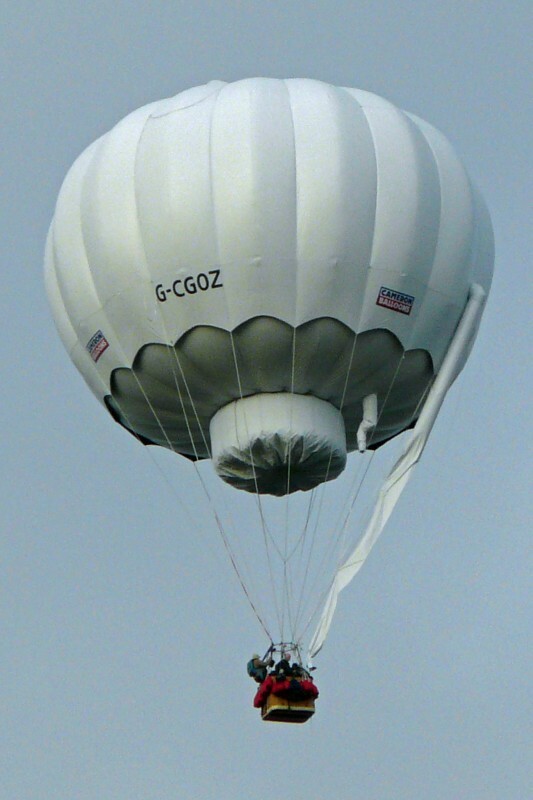 The GB1000 is Cameron's first hydrogen capable balloon designed personally by Don Cameron. 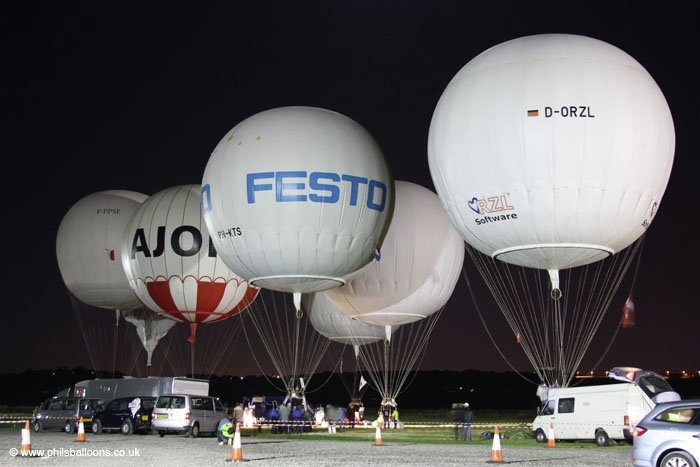 In a recent press release, Cameron describes the balloon as having a number of new initiatives to both improve safety and increase performance. 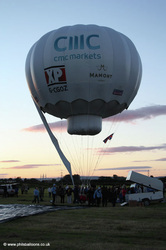 The balloon is a completely sealed envelope to keep the hydrogen from mixing with the outside air. 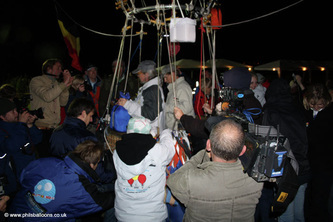 The gas expands with altitude therefore the balloon must have the ability to release pressure as it climbs. 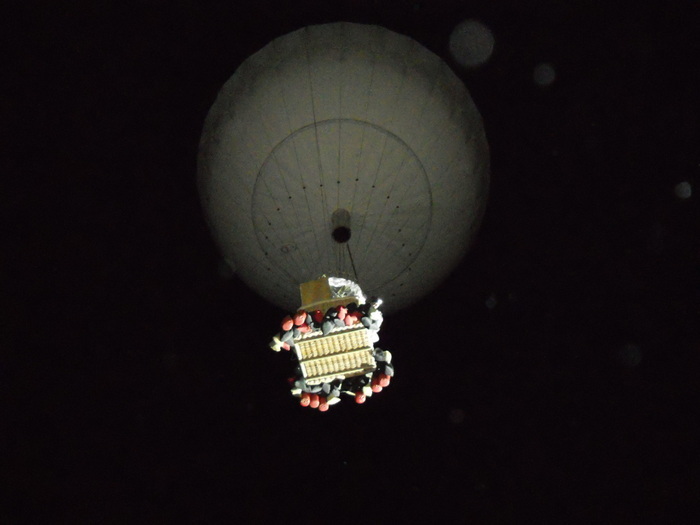 The balloon features a system they are calling the Servo System that will vent the hydrogen gas from the top of the balloon without mixing it with the outside air. 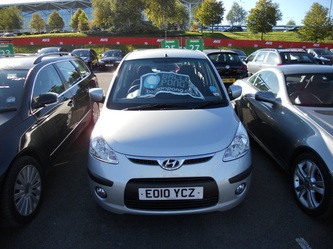 This will prevent combustion even if a spark should occur. 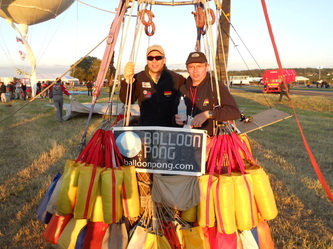 When the balloon is full the servo pulls on the valve line allowing hydrogen to exit the top. 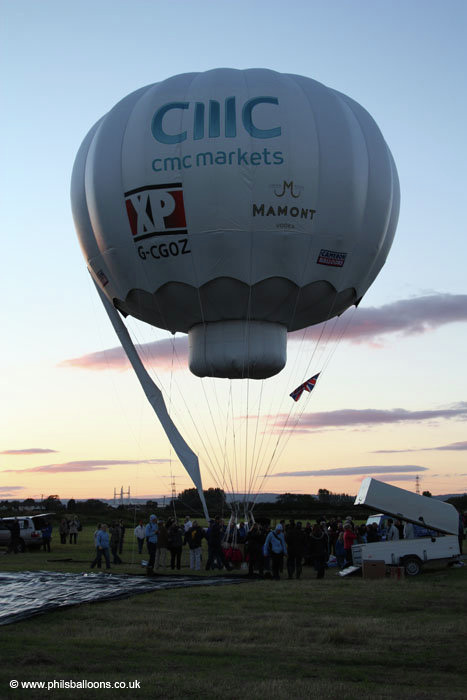 The metal gas valve has a chimney extension so that even if ignition were to occur, it would be isolated from the rest of the balloon. Most current systems allow for pressure relief through a fabric tube at the base of the envelope. 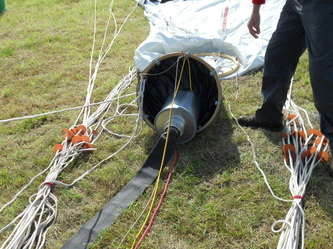 The only time the hydrogen comes into contact with the outside air is during deflation, which is done on the ground through a fabric "chimney" type deflation port. It is built with bright white fabric to reduce the effects of solar heating and night cooling, hopefully eliminating the porpoising that gas balloons experience as they rise in the heat of the sun and descend in the cool of the night which costs ballast. The balloon and valve system were tested and flown for the first time last week for a short hop across Bristol at sunset and all seems to be functioning perfectly. 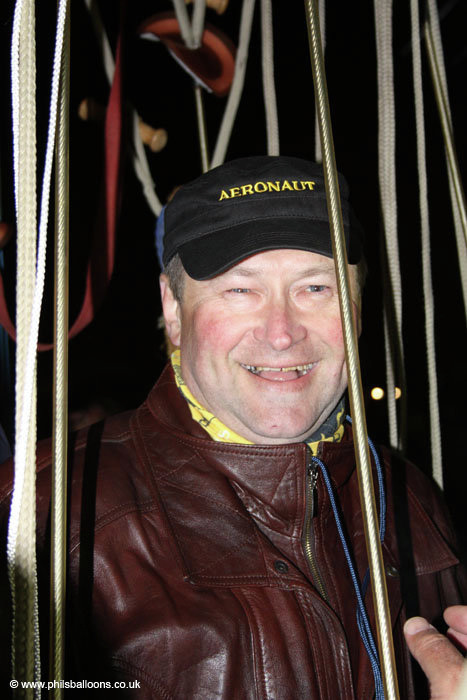 "The flight was going so well we didn't really want to land, but we were running out of daylight" said pilot David Hempleman-Adams. 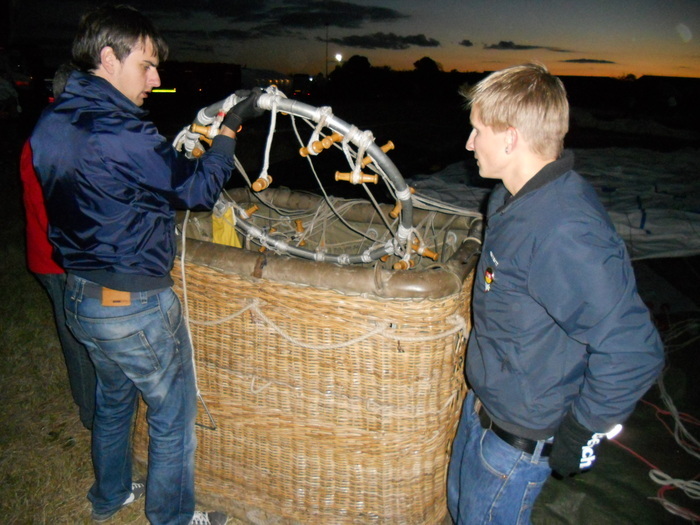 It will be interesting to see how the new balloon performs while being pushed to its limit during race conditions. Additional information can be found at the following sites. Final preparations are well underway for teams competing in the Gordon Bennett launching this weekend from Bristol, England. Months of work have led to these final few days before the launch. 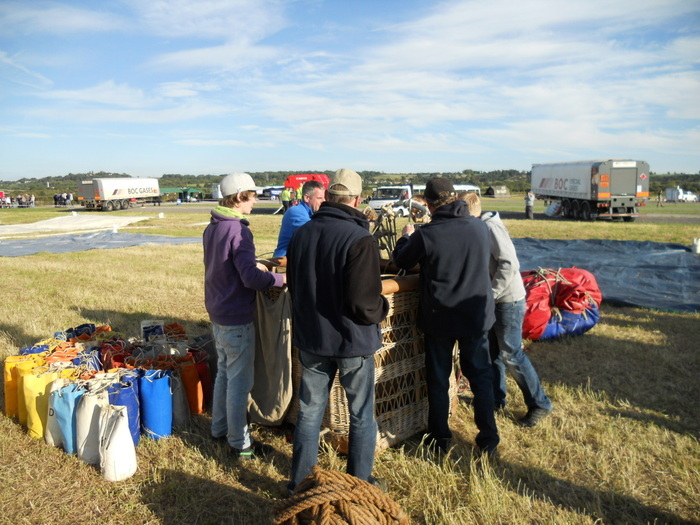 Team members will filter into Bristol throughout the week and start to organize the mounds of equipment that each balloon requires. 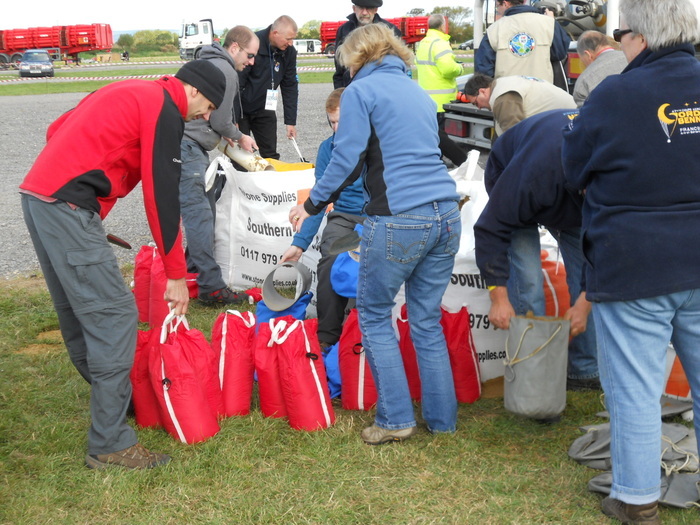 While teams from Europe can drive their own equipment to England, teams from the US and Japan are facing far greater logistical challenges getting equipment and people to the race. Equipment checklists several pages long must be packaged for shipment and then inventoried and organized once in country. 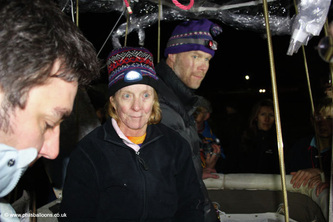 The US Team of Mark Sullivan and Cheri White are facing double the challenge by preparing two balloons for flight, one that was shipped to England last week and the other which will stay in Albuquerque and be ready to fly for the America's Challenge during Fiesta. "We shipped one out on Monday, but the second one needs to be ready to to go", Cheri White explains. "We fly back to Albuquerque late Sunday with the master briefing on Monday and back in the air on Tuesday." Sullivan and White had a bit of a surprise yesterday when they discovered their balloon had been bumped from several planes over the previous few days. 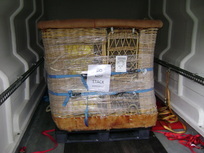 A few quick phone calls and the balloon was in the belly of an airliner bound non-stop to the UK. Team meteorologists begin looking at wind trajectory forecasts 10-14 days in advance of the scheduled launch. While they often change by the hour, a lot is learned by the trends of the different systems. Austrian pilot Gerald Sturzlinger prefers to keep his head clear by letting his weather strategist focus on the early forecast models. "For this long distance gas balloon race I usually start to look with one eye three days before, then more and more the closer we get to the actual launch. One day before the flight we have a long session with our weather strategist, the models converge and have a higher probability at that stage." Early models for a launch this Saturday are posted below. Please keep in mind that they have no doubt changed by now. However, at least according to the models below, southern France could be on the horizon for competitors. 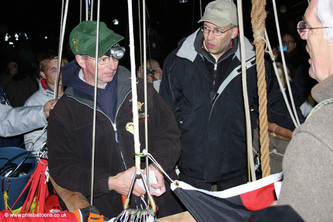 Launching from England creates some unique challenges for a long distance gas race such as the Gordon Bennett. This will be the first GB launched from England and the first from an island. 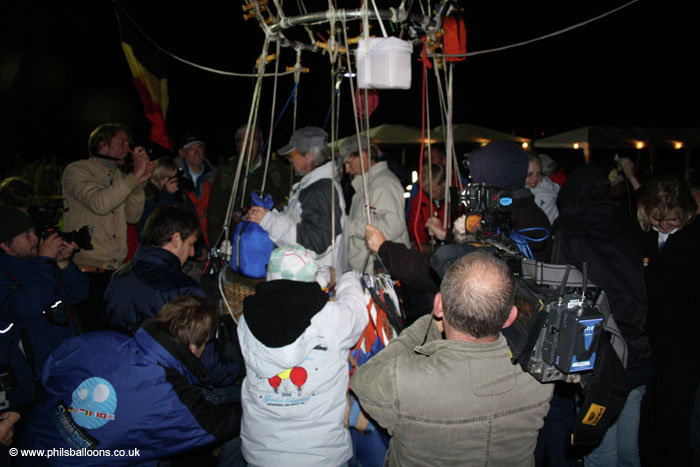 While a water crossing is almost always a possibility during long flights, it is a guarantee for this years event. The question isn't whether the balloons will find water, but will the balloons find land again. 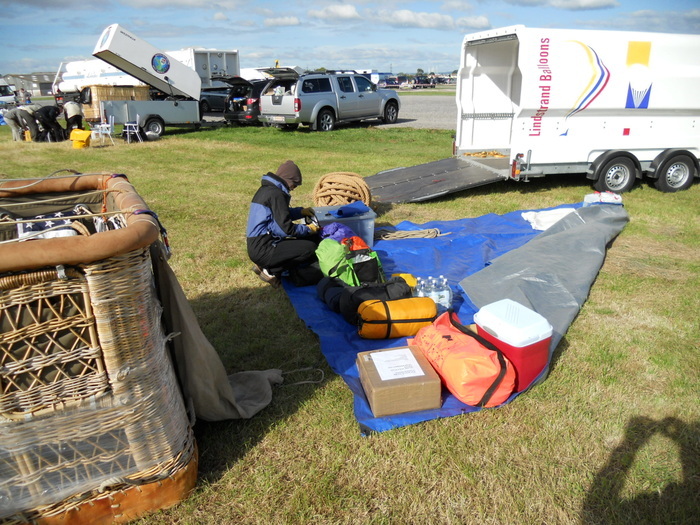 A water landing is very dangerous for crew, completely ruins equipment, and is an instant disqualification in the race. When looking at the map, one could divide the compass rose in half over the launch point on the 040/220 radial and everything west of that line is for the most part the open water of the Atlantic. Everyone seems anxious to hear what officials will do should a Westerly forecast presents itself on launch day. Sturzlinger, considers himself "sea-rated" after having spent 32 hours over water during GB 2006 and 39 hours over water last year eventually landing on the north coast of Africa. "Launching from an Island with some sectors of only open water is a new challenge. 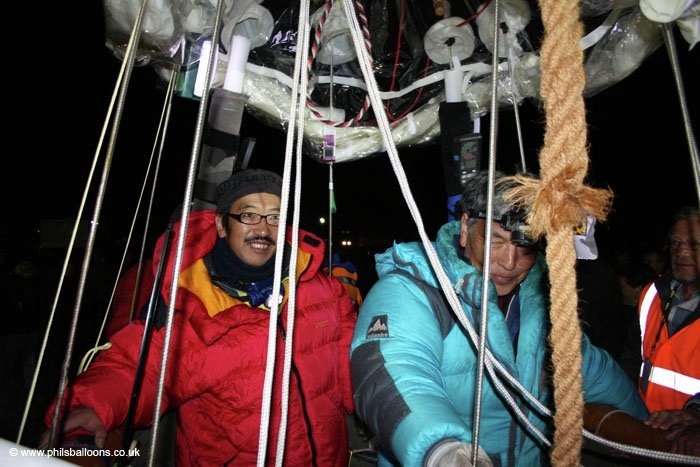 Our first thing we should expect is to land safe and dry." Even should the balloons be able to navigate to dry land Its no walk in the park from there. Each country has its own air laws and air traffic procedures and teams must at least be familiar with the basics of each. "Flying in Europe is a lot harder than the states because it is so dense" says White, "you are always in someone's airspace so you are on the radio all the time." Add to the airspace concerns of European flying is the geographic challenges of the continent. Pilots may have to navigate the Alps, as they stretch from southern France all the way to western Austria. 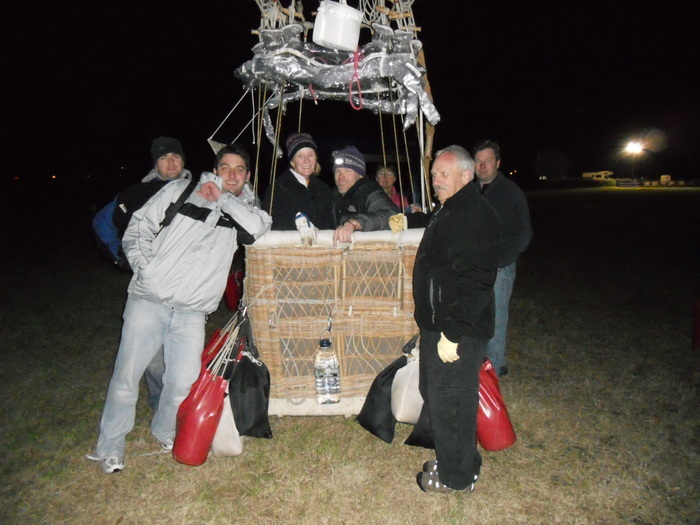 All things considered, this is truly an adventure unlike any other in the sport of ballooning. 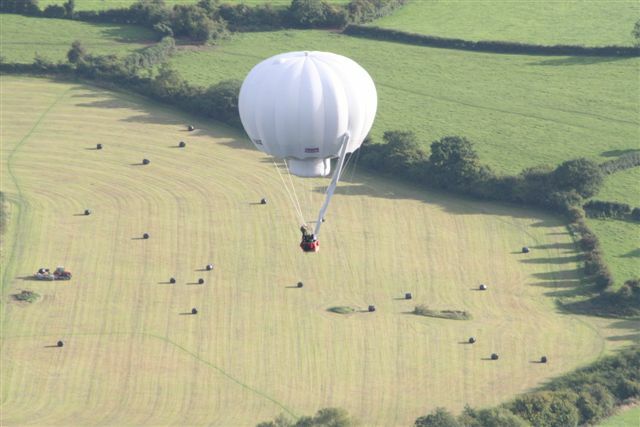 Perhaps the greatest adventure in competitive ballooning will take place this weekend as 21 gas balloons will launch from Bristol, England for the 54th Gordon Bennett Gas Balloon Race. The the winner of this race is the team that flies the farthest from the launch point. Each team of two pilots are expecting to stay aloft for 3-4 days as they travel silently across Europe. 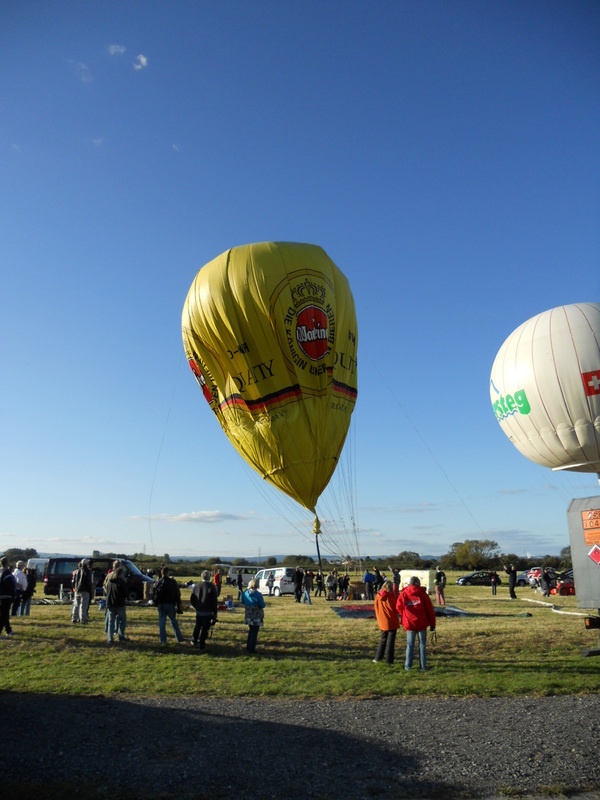 Last years race took off from Geneva, Switzerland and the winning balloons flew to the southwest coast of Portugal. Balloons spent days out over the Mediteranean before making a turn back towards landfall in Spain. 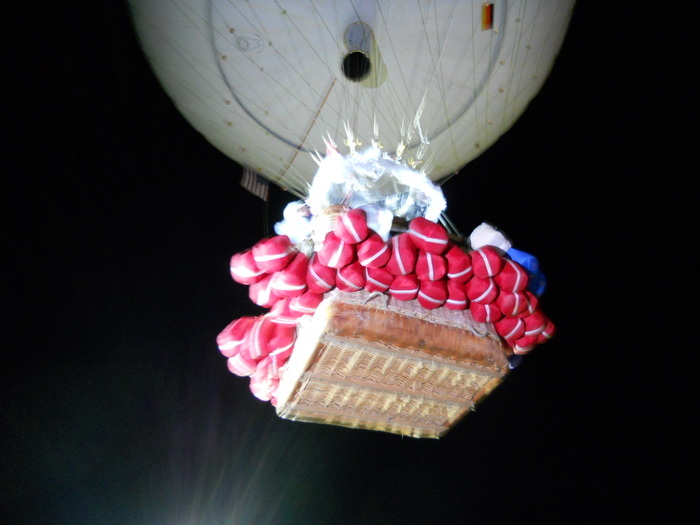 Although landing out of bounds, three balloons flew all the way across the sea to Algeria, spending almost 40 hours over water. 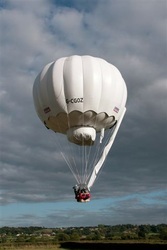 Gas balloons use helium or hydrogen to achieve the lift necessary for flight. 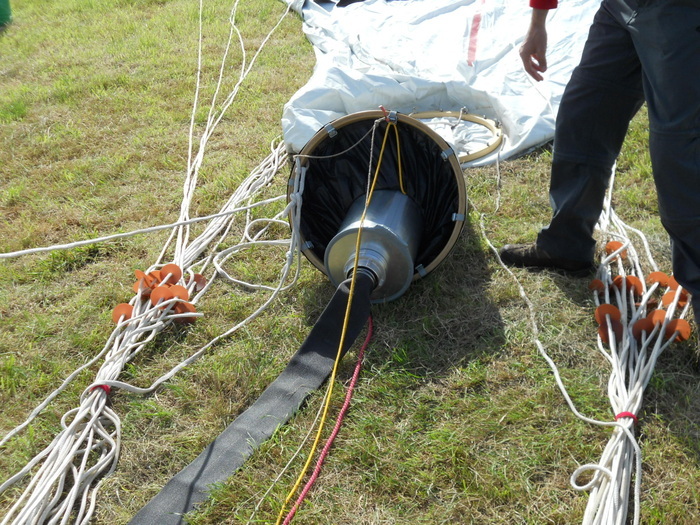 Altitude is controlled by dropping ballast (sand) to rise and venting gas through a valve in the balloon to descend. 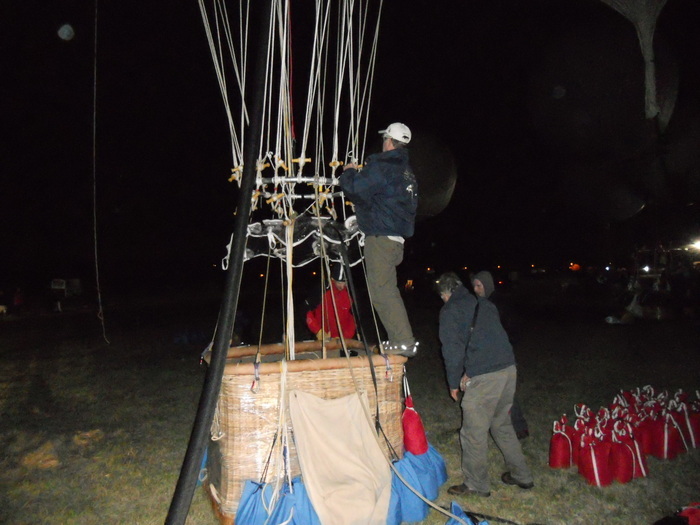 Balloons take off with a finite amount of each, so when the ballast runs out the flight is over. Flights can be expected to last days and traverse hundreds if not thousands of miles. 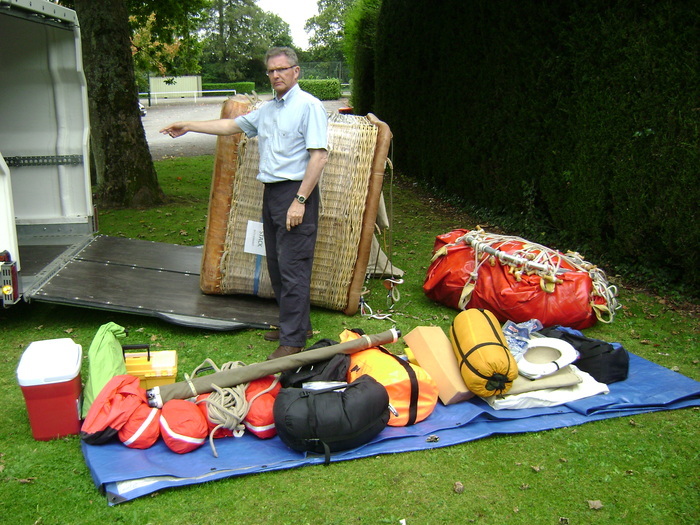 Teams must attempt to prepare for every possible situation they may encounter while aloft. Communication and navigation tools must be carried as the flight track could easily take them over high traffic airports. A flight from England guarantees a water crossing so teams are preparing for potential emergency water landings by carrying waterproof bags, survival suits, and a raft. Inflation will begin this Saturday afternoon and balloons will be launched one at a time into the setting sun of the evening. 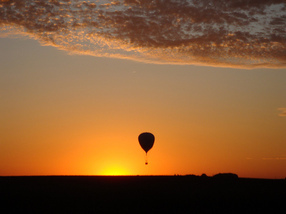 Balloons will generally stay low the first night conserving ballast and letting the warmth of the morning sun lift the balloon the next day. Long distance gas races are a war of attrition. If you can outlast your competitor by staying aloft longer you have a much better chance of winning. With the launch being this Saturday, teams are starting to watch the weather systems and potential trajectories of the flight. As we all know, the weather is constantly changing and teams will receive constant updates from the meteorologists right up until launch and by satellite phone once airborne. Current trajectory predictions show a flight south over France and into Spain. We'll be updating here all week as we get closer to the launch and teams start to gather in Bristol. We hope to have video of the launch and will follow the flight via live tracking on the event website.